Northern Ireland’s choughs: is hard work paying off? 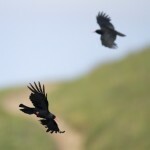 2013 is shaping up to be a special year for Northern Ireland’s only breeding pair of chough. The pair spent this Christmas at home, a first for the country’s rarest breeding bird. In 2012, for the first time, the chough bred on the RSPB’s Rathlin Nature Reserve where the RSPB are managing a large area of land for chough and where the birds can be seen feeding throughout the year. In previous years the birds have left the Island around late October and disappeared from the north coast until February when they return to prepare for a new breeding season. Chough outside of Northern Ireland usually spend the winter roosting on or near their nest site. However, in the past the Rathlin birds seem to have fancied a change of scenery and despite the best efforts of the RSPB, their location in winter has remained a mystery. The RSPB think the young from the previous two years are spending winter apart from the parent birds, on grounds somewhere on the north coast. Michael McLaughlin, RSPB Agri Environment Officer commented, ‘The reason the birds are staying this late in the year is most likely due to the great work of several dedicated landowners on the north coast who take on targeted chough habitat management.’ This type of specific land management is carried out with the help of RSPB advisors, through DARD (Dept of Agriculture and Rural Development) Agri Environment Schemes and gives a lifeline to some of Northern Ireland’s rarest species, including the chough. In the summer and winter chough are most often seen at Rathlin on land managed for them under the scheme, which provides excellent feeding and entices them to spend the whole year at home instead of moving away for the winter. 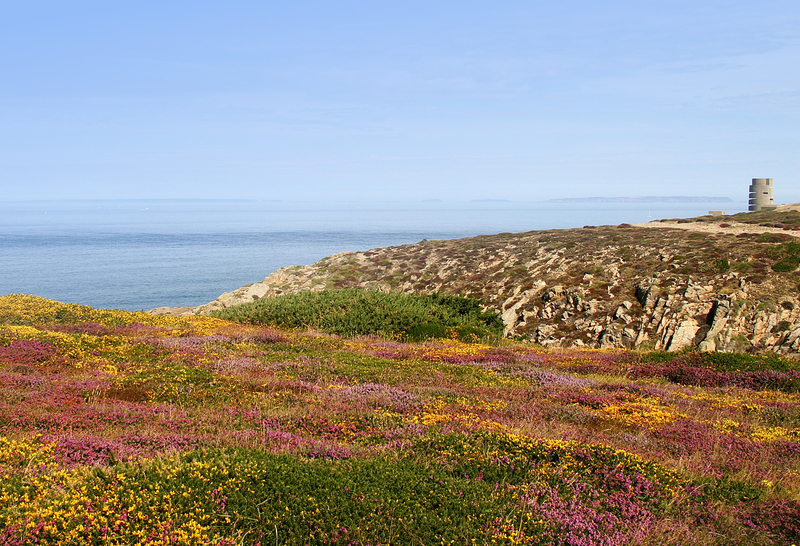 The RSPB’s reserve on Rathlin is perfect for these birds, the reserve is also extremely important for other species including corncrake, breeding seabirds, plants and the illusive hare.